Sensory bins are one of my favorite activities for young learners. It is so important for them to explore different textures and work on building those muscles in their little hands. Sensory bins can be used for so many different skills: fine motor, sorting, building, imaginative play, letter practice, number practice, dumping/pouring and more. 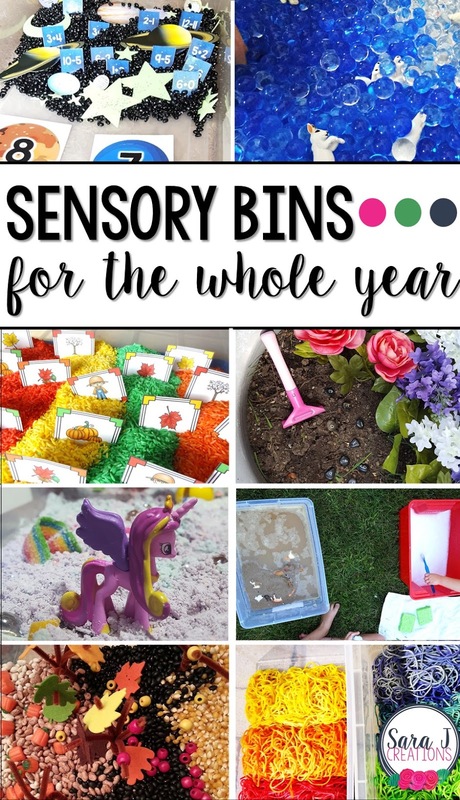 I put together a list of sensory bins that you can use throughout the year. I broke them down into seasons and then at the end added bins that could be used anytime. These are all bins I've blogged about before, but now they are in one spot for your convenience. This simple rice bin can be used for so many different activities including basic picture matching for the youngest learners. Dye the rice fall colors for added seasonal fun. Check out more details about this Fall Rice Sensory Bin. In the fall we love picking apples and pumpkins and enjoying the apple orchards around us. This is a fun way to turn that into a sensory bin with different colored beans and popcorn kernels as the base. Check out more details about this Apple Orchard Sensory Bin. This fake snow was such a fun addition to our sensory play. Mixing the water beads and the snow gave us two fun textures to play with. This would be a great way for little ones to experience snow if they live in an environment that rarely gets snow. Check out more details about this Snow Sensory Bin. Water beads are SO much fun and make a great sensory bin filler. We added some arctic animals and pretended they were in the water, snow and ice. Check out more details about this Arctic Sensory Bin. Sensory bins can definitely get messy sometimes, but this is fun invitation to play in the dirt! 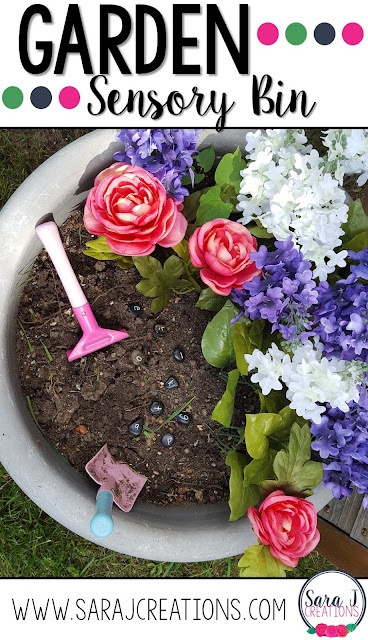 A mini garden for kids is a great way to play with tools and artificial flowers without destroying a real garden. Add stones with letters for an extra level of academic play. Check out more details about this Garden Sensory Bin. With this sensory bin we actually had three bins going at the same time - a muddy mess for the animals to play in, soapy water to clean them and then a farm with beans and grass for the clean animals to graze in. Check out more details about this Farm Sensory Bin. A unicorn sensory bin is fun any time of the year. This cloud dough is a fun texture to explore - it is soft and powdery like a sandy beach. Check out more details about this Unicorn Sensory Bin. Another fun way to play all year long is with dyed, cooked noodles. It is a sticky pile of noodles to explore, stir and separate. Check out more details about this Colored Noodle Sensory Bin. 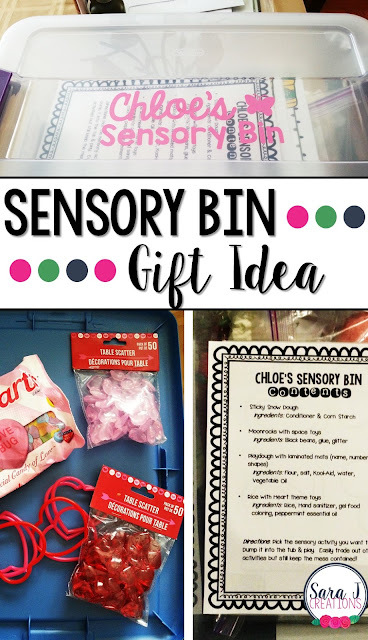 Giving sensory bins as a gift is one of my favorite ideas because it is unique and educational. 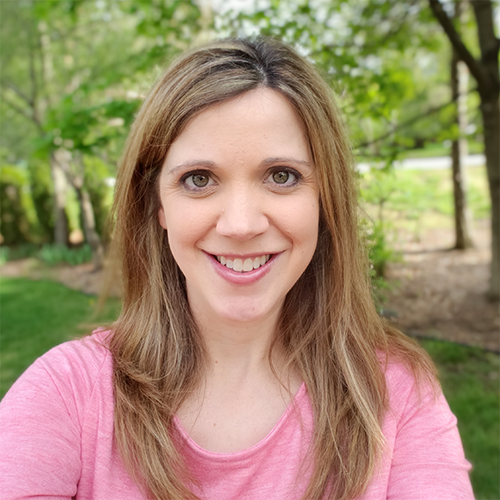 This version is designed for kindergarten or first graders and has some academic practice (addition, subtractions, letters, sounds, sight words, etc.) in addition to the sensory play. Check out more details about this Sensory Bin Gift for Big Kids. My original sensory bin gift idea was designed for toddlers and is still a hit whenever we make one. Just getting different textures into their hands so they can play and explore and develop fine motor skills is so important. Check out more details about this Sensory Bin Gift Idea.